TWO Seasons Hotel Apartments, recently launched in Dubai, made its show debut at ITB Berlin this year. 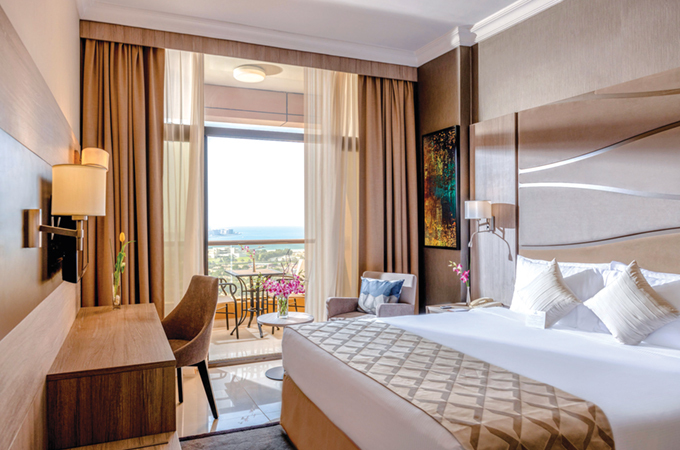 Formerly known as Gloria Hotel & Apartments in Dubai, Two Seasons Hotel Apartments is the first branded hotel in the UAE for the new Two Seasons Hotel Management brand. With several new hotels lined up for opening in 2020, the years ahead look extremely promising for the brand. Two projects are under construction in Dubai with 188 lifestyle hotel rooms and 256 apartments that will open in 2021. Plans call for two hotels in Morocco by the end of 2022: one beach resort with 120 rooms in the city of Dakhla and one boutique hotel with 22 villas and organic farms in the capital Rabat. These lifestyle hotels will be branded under a new hotel concept that is luxurious, trendy and charming. Al Ghaith Holding has ambitious expansion plans for the next five years to grow in new destinations in the Middle East and North Africa region. The hotel chain is characterised by its strong commitment to the destinations where it opens, investing in long-term projects that involve the local community through its sustainability policies and its community contribution. Freddy Farid, managing director for the Two Seasons Hotel Management company, said, “European and especially German markets are very important for the UAE as those markets are stables in terms of tourists number and business trading in the UAE. “We are showcasing our new brand as Two Seasons out of the idea of Dubai having just two seasons: winter and summer. The longest months in the calendar year, which makes our brand ideal place for travellers all throughout the year.